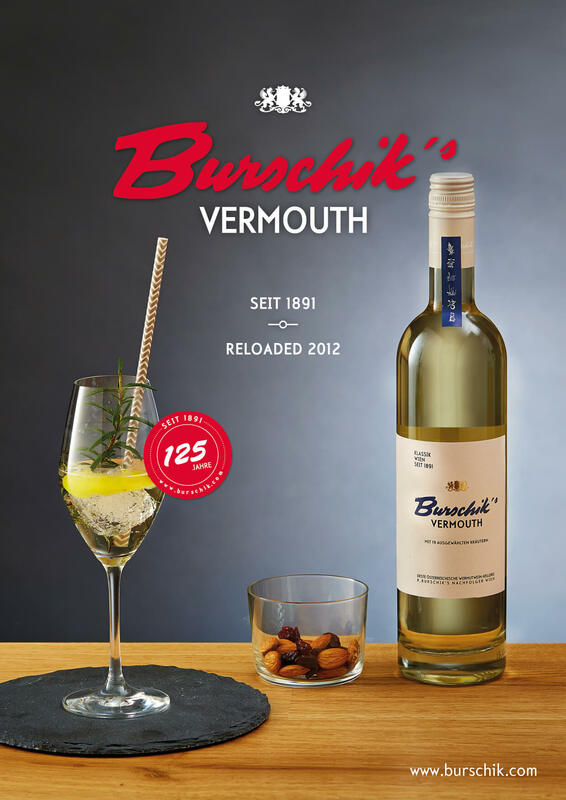 In the middle of Vienna, only a stone´s throw away from Westbahnhof railway station, you will find the Vermouth winery and productions Burschik, breathing new life into old recipes. 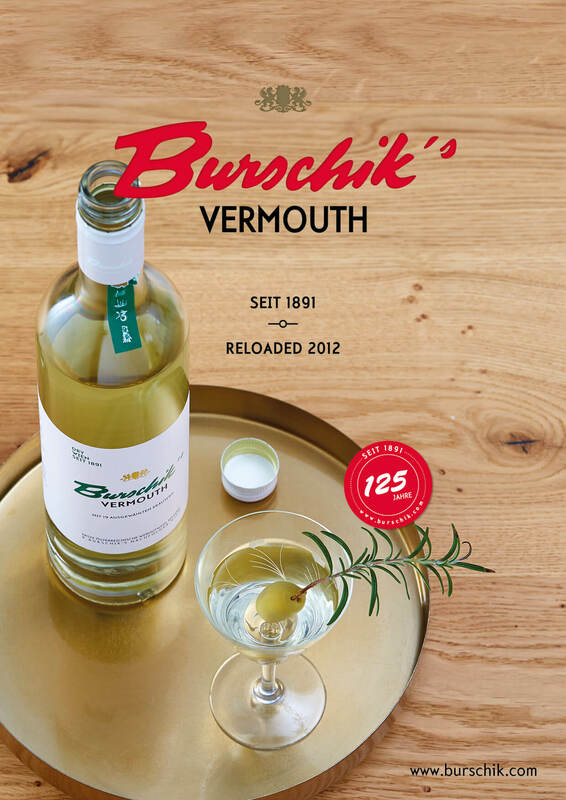 The long established Viennese brand Burschik was founded in 1891. 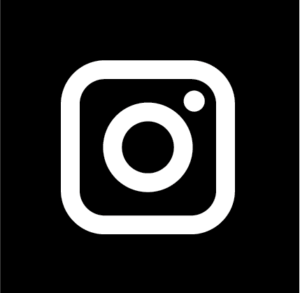 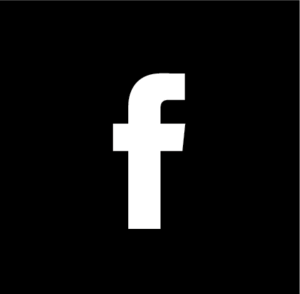 Relaunch of the brand Burschik. 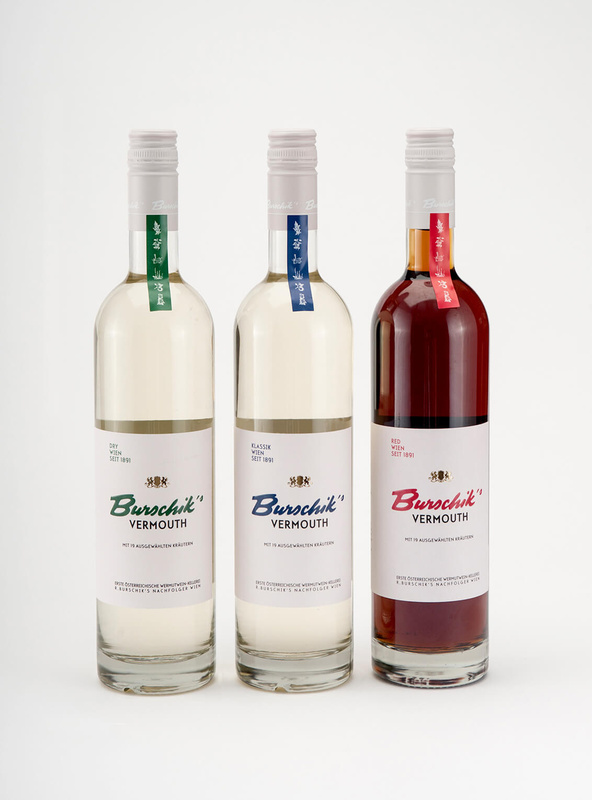 Development of new corporate identity: logo, labels, bottles, company colors, print forms, fair booth and new design of the Burschik Lounge at the Vermouth winery. 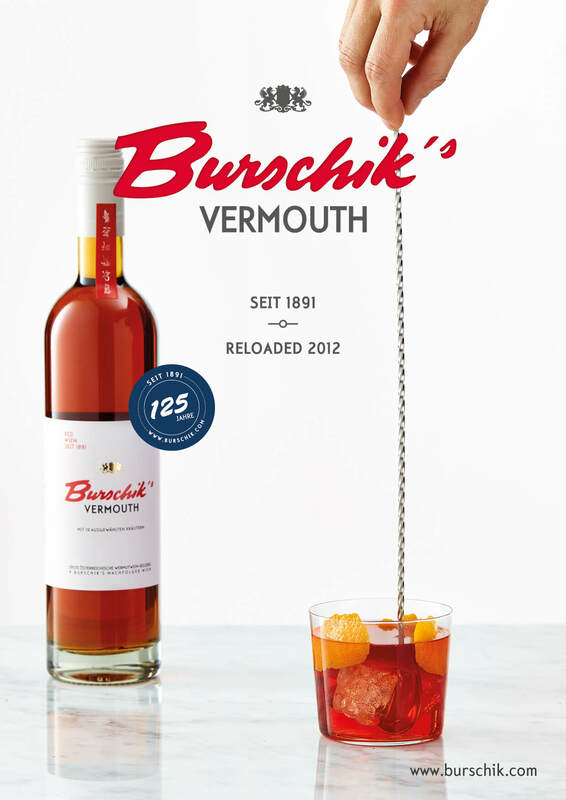 For Burschik Vermouth´s 125th anniversary we designed a new photo campaign, we had new photos made of Burschik's Sprizz and Burschik's cocktails and created a new folder. 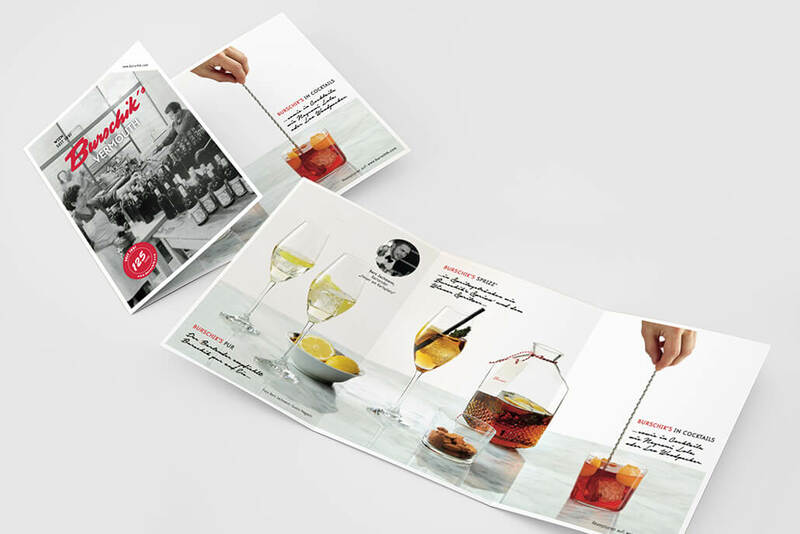 Moreover this year Burschik's bottles and print forms will carry a 125 year button.